“Respect, Conserve, Preserve” WHILE SHOPPING FOR OUR VETERANS AT THE ZOO” is my theme for this year. 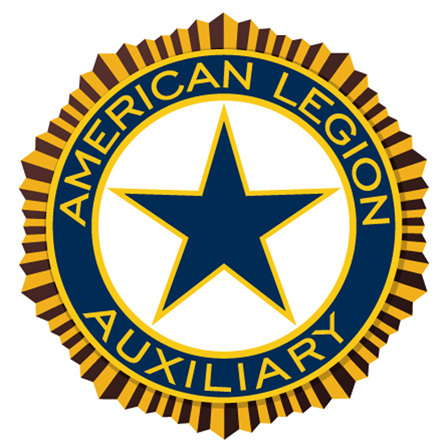 Christmas is the time of year that we want our veterans who are confined to VA facilities for the holidays to be able to give their loved one or ones a gift that we, as the American Legion Auxiliary, provide for them with Point #4 of the 6 Point Program. The program lets our veterans pick a gift for their spouse, parent or special friend, and children up to eighteen years of age. It was reported that last year 1,800 veterans were served at the 9 VA facilities we serve in the state of Illinois with a total over $22,277.42 being spent, plus over $1,300.00 of toys donated to American Legion Auxiliary at Department Headquarters. I would like to encourage the District and Division Presidents to contact your Districts and Units to ask them to please be generous with their donations to this program. The Gift cards will be $10.00 from Walmart, Kohl’s, McDonald’s and Target again this year. I have sent out the Gift Request List to the Reps for each of the facilities with a copy of last year’s list and asked that they return to me by August 18th so I can get busy filling all the needs of the requests. After the Gift Shop is over, the Volunteers may purchase any gifts or gift cards that are left at the Auxiliary’s cost. To make the Gift Shops a success they will need lots of volunteers so please encourage your American Legion Family to help. Volunteers will help the veterans shop for their gift and get ready to mail. The Gift Shop dates will be in the October issue of the ALA Today. Once the Christmas Gift Shops are done it won’t be long before the Easter Bunny will be delivering “ Easter Gifts from the Zoo” to our Veterans who are in a nursing home, hospital or homebound. The funds for our Easter Gifts come from Point 5 of the 6 Point Program. In the December issue of the ALA TODAY a survey sheet will be published for the Unit VA&R Chairmen to fill out and send back to me by March 29, 2019. Unit VA&R Chairmen are asked to please survey all Veterans in local care centers in your communities. The checks and Easter cards will be sent to the Unit Treasurers and the Unit Chairman must ask her for them. Veterans in the VA Medical Centers and State Hospitals will be counted by Hospital and Field Service Representatives. The Easter Gifts will be $5.00. I am striving to make “Respect, Conserve, Preserve” WHILE SHOPPING FOR OUR VETERANS” a successful year! $5.00 cash to ALL Hospital Reps. Who send me a Christmas Gift Shop Report by January 1, 2019.